What Are the Quadriceps Muscles? The quadriceps muscles are a group of four muscles located on the front (anterior) of the thigh. Quad means four, while ‘ceps’ refers to divisions or ‘heads’ of the muscle. Vastus lateralis – vastus means vast, huge, extensive and Lateralis refers to its location on the lateral or outside of the thigh. 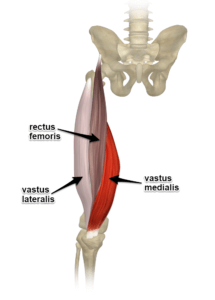 Vastus medialis – vastus (same as above) and medialis refers to its location on the medial or inside of the thigh. Vastus intermedius – vastus (same as above) and intermedius refers to its location between (inter) the medialis and lateralis. 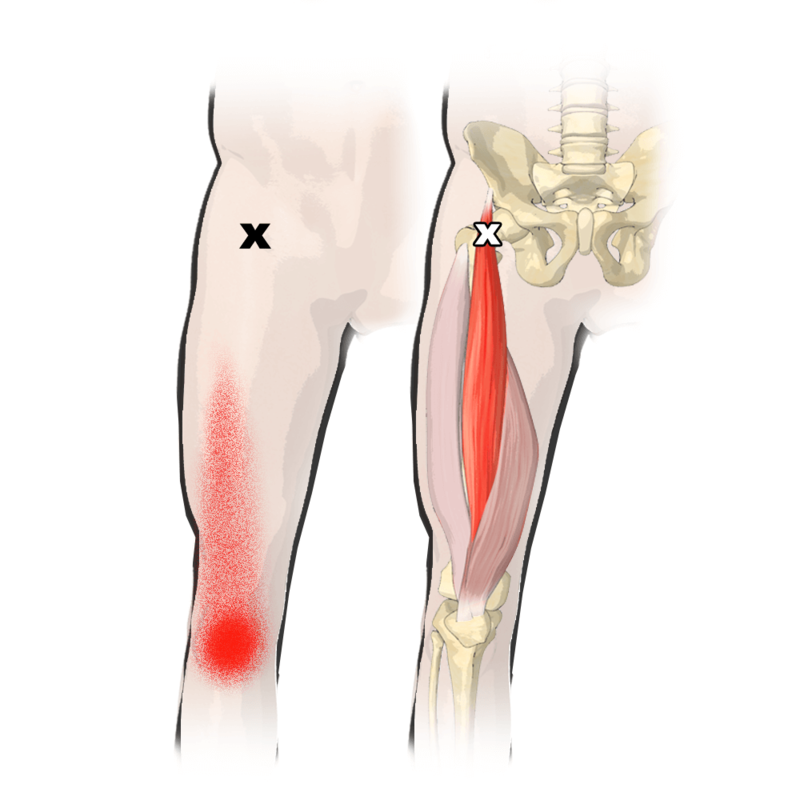 Where Do the Quadriceps Muscles Attach? All of the quadriceps attach to the same place on their distal (bottom) end. They attach to the tibial tuberosity through the patellar ligament (tendon). 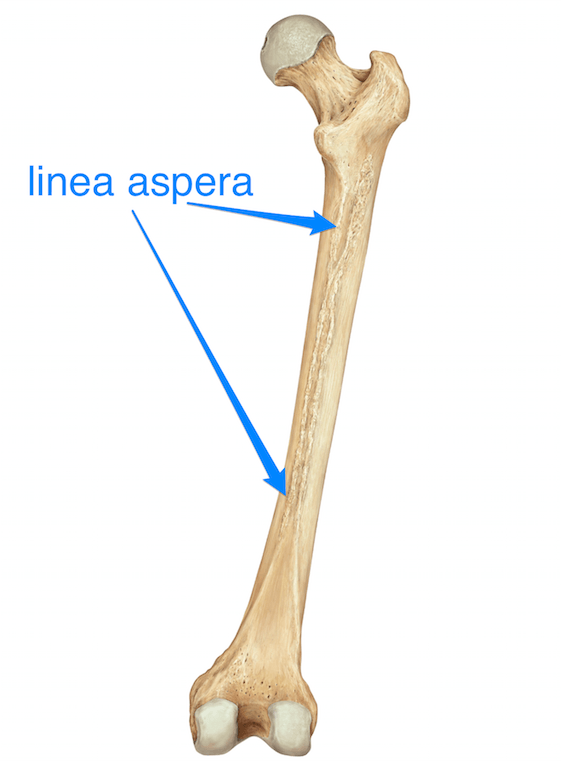 On their proximal (top) end, the vastus medialis and lateralis attach along a slightly bumpy line on the back of the femur called the linea aspera. The vastus intermedius attaches to the anterior surface of the femur between medialis and lateralis. It is often surprising to many people that all of the quadriceps don’t cross the hip joint. 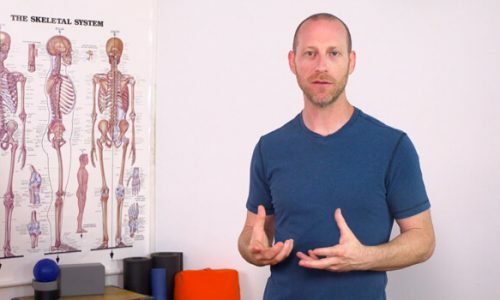 What Are the Actions of the Quadriceps? 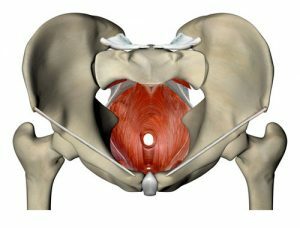 Recall that rectus femoris was the only one of the quadriceps that crosses the hip. Therefore, the other three quads have only one action that they perform. 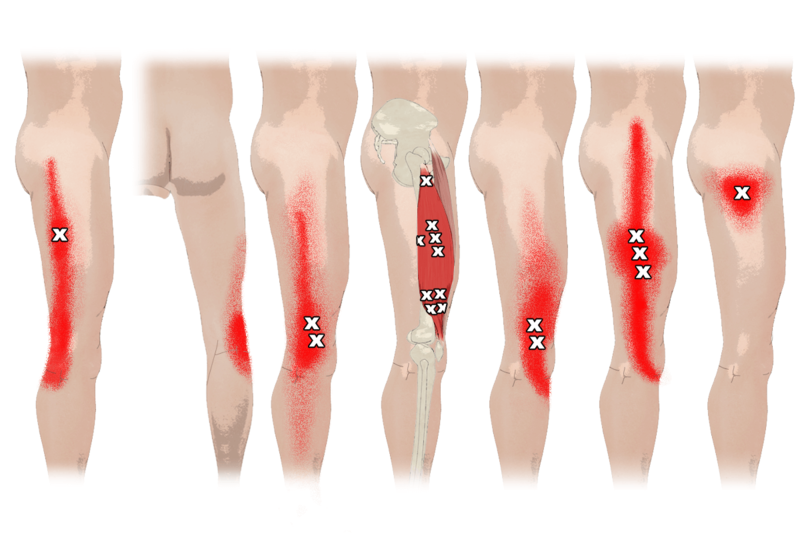 All of the quadriceps participate in extension (straightening) of the knee joint. The quadriceps also help to stabilize the patella and keep it tracking in a straight line. A contusion occurs when one or more of the quadriceps muscles is hit directly with enough force to crush the muscle against the femur. 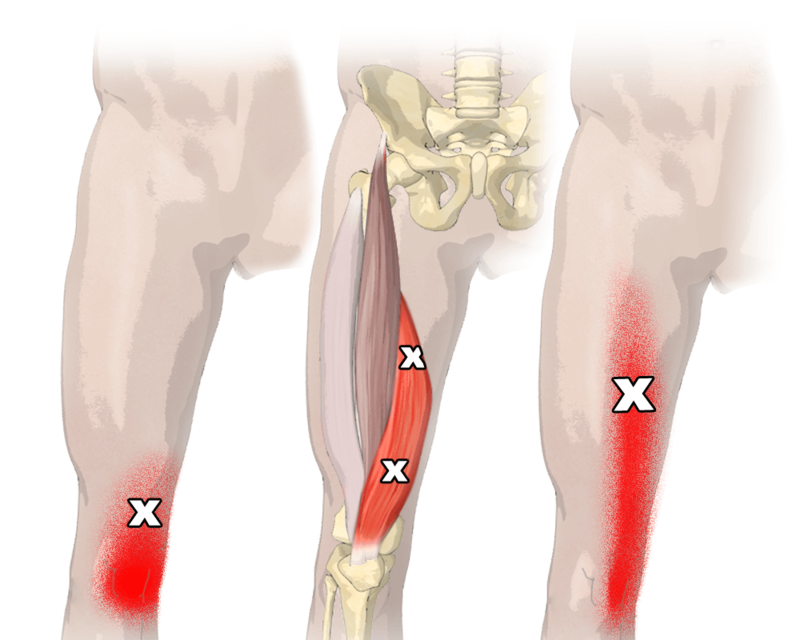 General symptoms are similar to those of a strain or tear of one of the quadriceps muscles including sharp immediate pain when the muscle is hit. Swelling and bruising is also possible depending on the severity of the contusion. Contusions can fall into one of three grades. Grade 1 contusions may produce a feeling of some soreness and tightness, but those with a grade 1 contusion will likely have a nearly full range of motion. Grade 2 contusions will produce pain during activity, will likely produce swelling, and will impede range of motion. Those with a grade 2 contusion will likely have difficulty walking and fully bending the knee. Grade 3 contusions will produce significant pain and immediate swelling. Those with a grade 3 contusion will be unlikely to walk without crutches. The vastus medialis is associated with patellofemoral joint syndrome due to the importance of this muscle in correct tracking and stabilization of the patella. Although patellofemoral join syndrome is complex and all causes are not completely understood, weakness or fatigue of the vastus medialis is thought to be one factor that can contribute to this syndrome. Symptoms of patellofemoral joint syndrome include: knee pain at the front of the knee or at the back of the knee cap where the patella comes into contact with the femur, especially when squatting down, climbing stairs, and particularly when going down stairs. Strengthening the vastus medialis is generally part of the recommended treatment for patellofemoral syndrome. 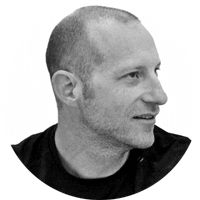 Also recommended is resting the leg and reducing any activity or sport that could have contributed to over-use of one or more of the quadriceps muscles in a particular pattern of movement.